Having abandoned the Dolomites due to unexpected snow, we headed to Arco which is just north of Lake Garda. 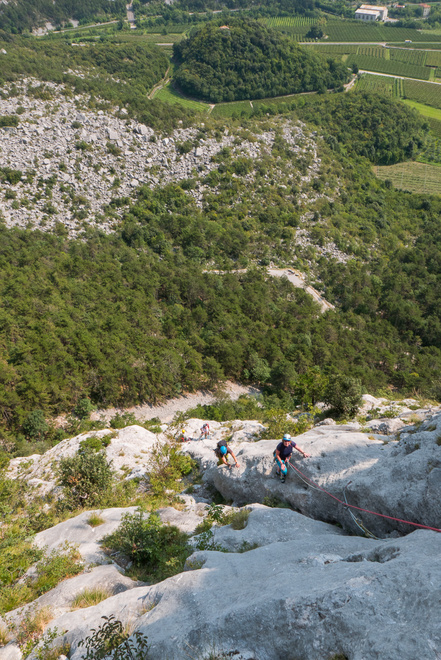 Arco is best known to climbers for sport climbing, however it turns out there is also a huge amount of big multi-pitch naturally protected routes. For the most part these seemed to have fixed protection, either threads or bolts. But it was occasionally necessary to place gear. 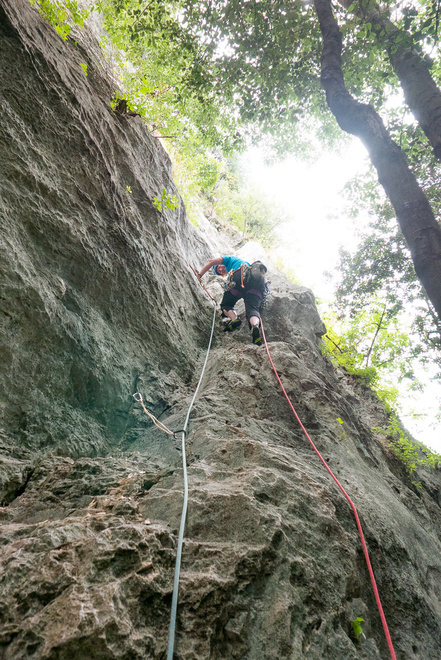 For the first few days we climbed routes just north of where we were camping which were 3-4 pitches. 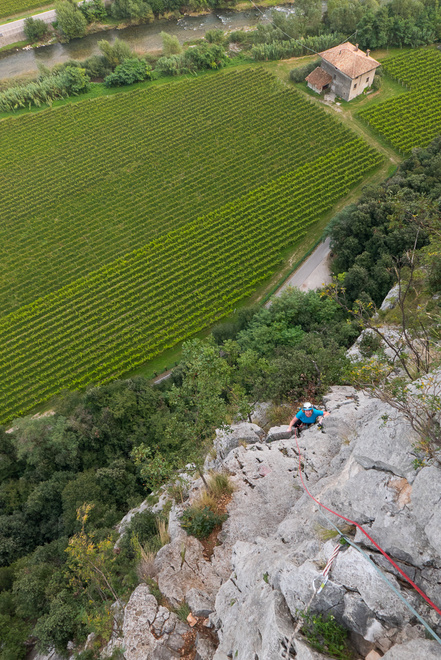 These were enjoyable routes, and more importantly they were out of the afternoon sun! 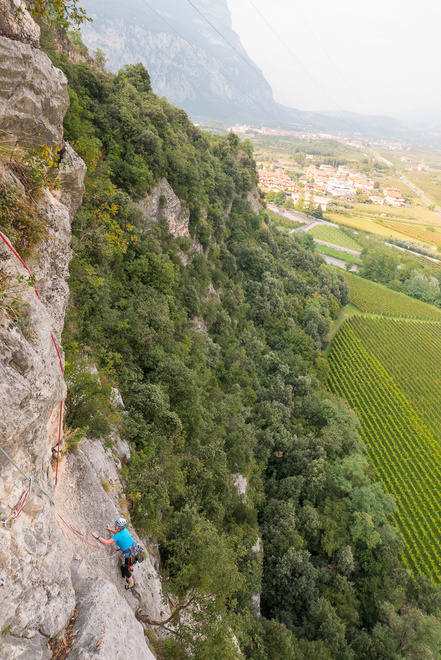 On the last day we headed further up the valley to climb a long multi pitch route called La Bellezza Della Venere. 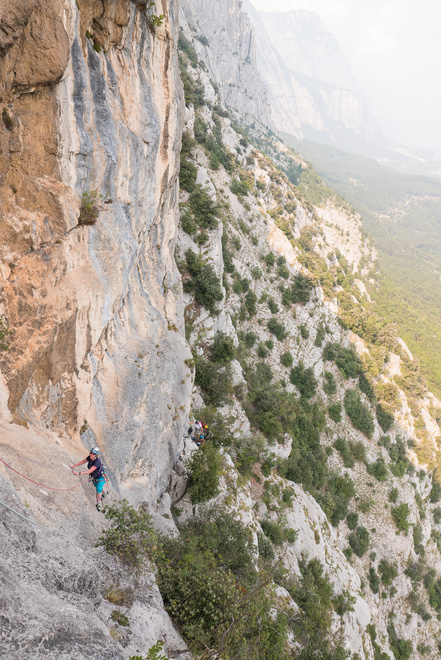 The route climbed 300m in 9 pitches, and was excellent throughout. It was slightly marred by some rude Germans behind us who were getting angry with the party in front of us who were not as fast as they wanted to be. 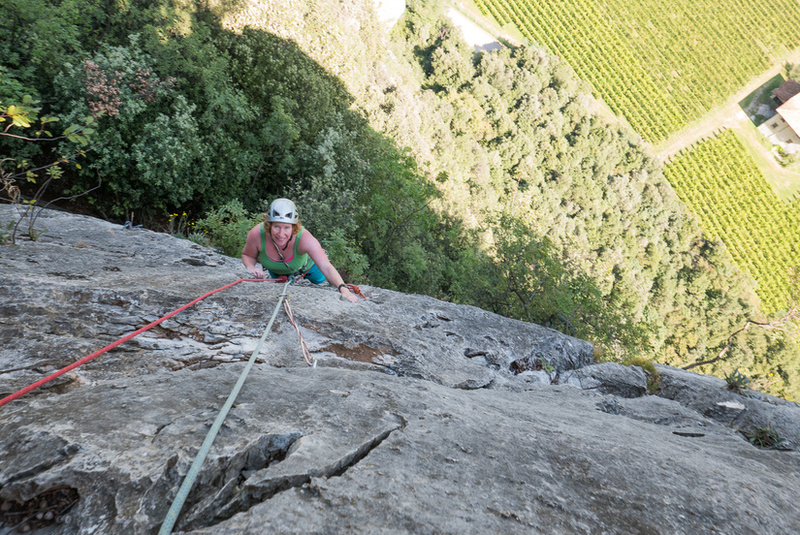 We enjoyed a relaxed day on the rock, in the sun, with beautiful views up the valley while chatting with the party in front of us at belays. 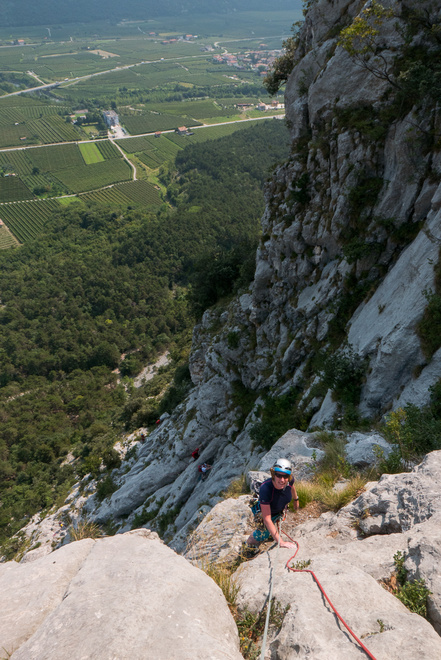 The descent looked improbable from below, and we soon realised why. It was a small patch which had been cut into the cliffside, which enabled us to descent very quickly and we were soon back at the bikes. A short cycle took us into the local village were we enjoyed a beer with the team who were in front of us.